Have you found an online vendor selling HSE VSOP? Très riche et très fort en bouche. Laissez le précieux liquide quelques minutes dans votre verre avant de commencer la dégustation car il a une très forte odeur d'alcool! Very dry and grassy agricole. Noticeable burn, hints of straw. Hard to choose between xo and vsop but xo is probably slightly better for me. Can be had straight on rocks and a bit of lime. Still very good. 7.4-7.7. Full of smokey flavour so this reminds me of a cross between wiskey and rum. But quite tasty and drinkable. Ill absolutely reccomend ice in this one. Nice amber in the glass with a very grassy and delicate nose. Notes of green apples, unripe peaches, cask and a hint of vanilla rise from the glass. The taste is very potent with notes of woodchips and tobacco leafs. It’s quite tannic but refined none the less, with a long soothing finish. A nice and manly rum apropriately enjoyed infront of a fire. It stays a big seven for me as the taste cant quite follow the nose. 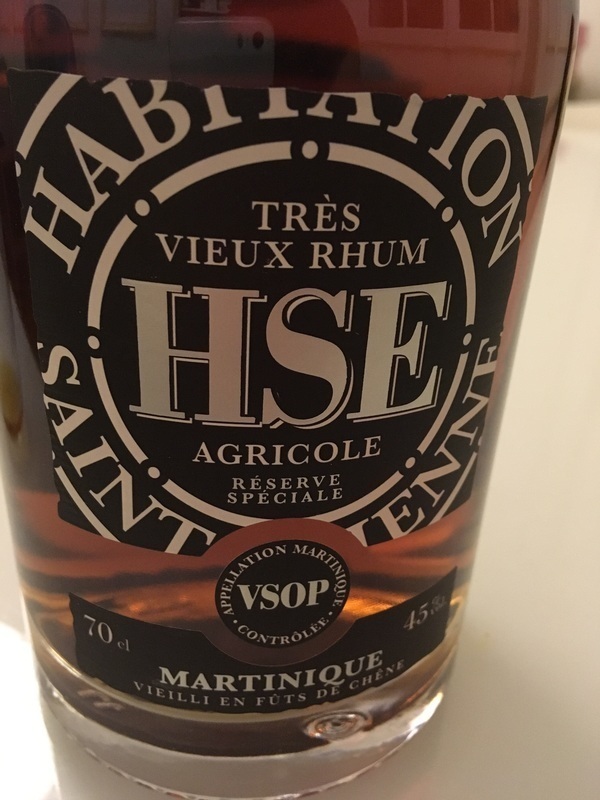 Visited the Habitation Saint-Etienne (HSE) Distillery while vacationing in Martinique. Spectacular unlimited full open tasting bar. Distillery is in a different location than the tasting bar. HSE VSOP was EUR 40 at the tasting bar. Bright amber color. Very nice and sturdy bottle with a splendid label design. Oak flavors merged with traditional high end Rhum Agricole like grass and floral notes to the nose and palate. Quite a strong burn at the end being so dry. Rhum Agricole lovers can easily add 2 points to my score. This is very a very smooth rum. Slightly too sweet for my tastes, but it can be overlooked. Would buy again. Bouche : toasté (note de chêne), bois brûlé, réglisse, pain grillé et un fond de caramel et de cire. Verre finis (notes iodé). Det er altid en udfordring med agricoles, da de kan være meget tørre og minde meget om cognac. Det er ikke nødvendigvis skidt, men hvis man ville have en cognac, havde man nok valgt det. Denne er dog en positiv en af slagsen. God duft af vanilie og fad. Dejlig smag af vanilie og lidt lakrids. Selvfølgelig en anelse tør, men god dybde i smagen også i eftersmagen. Dufter meget krydret, af træ og fad og meget med ekstra meget af Cognac. Ville ikke kunne dufte forskel. Smager meget sprittet. Den er meget tør og smager mest af alt som cognac ikke en rom jeg ville købe. Très bon en bouche. Odeur boisé et fruits qui se retrouve au goût. The nose is detected notes of spices with cinnamon, pepper and a wooded side. Red fruits are very present in the mouth with a long woody final. A good rum but no more. Après quelques dégustations de rhums plutôt doux, celui là est plus costaud en bouche. Never tasted anything quite like it before, dry and fruity. Look forward to trying this in cocktails. This is nice and smooth. The best rum I've tasted from Martinique. Après plusieurs conseils, dans le but de découvrir le Rhum Agricole Ancien, j'ai été séduit par cette bouteille. Une belle robe avec une très belle saveur en bouche, riche et séduisante le tout avec cette petite puissance qui nous rappelle que les 45°. a good buy. 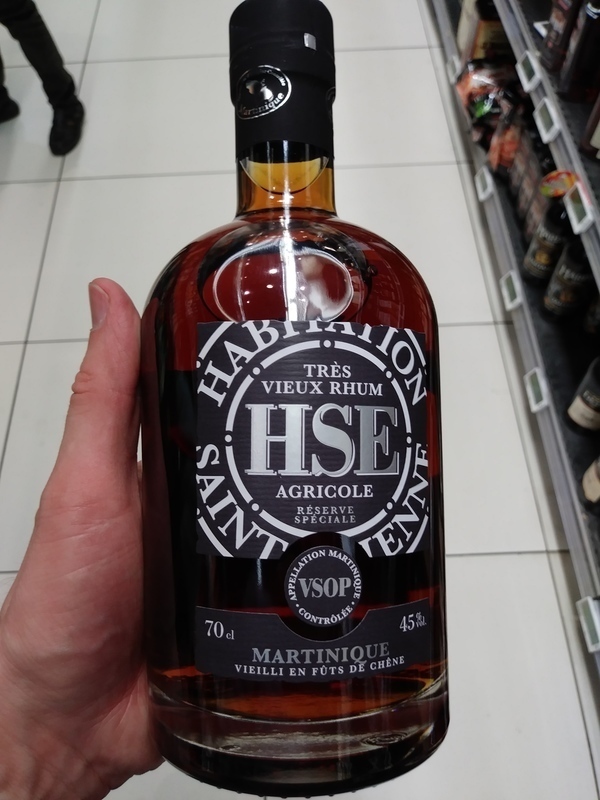 the vsop from habitation saint etienne ist worth every cent. if you like the french style, this is it! Vynikající "agricole", má srdeční záležitost. Koho už nebaví " dopajcované" přeslazené solery,tohle je to pravý ořechový! Předesílám,že v kontextu dalších francouzských rumů,musím dnes z odstupem let hodnotit jako lehký nadprůměr. Nicméně před pár lety,kdy jsem ho poprvé měl možnost ochutnat, mě doslova uhranul. Vůni otvírá intenzivní aroma čerstvé třtinové trávy,doplněné o vanilku. Chuť je suchá,bezvadně vyvážená s tóny vanilky,kávy,exotického ovoce (sladkých citrusů) a dubu. Závěr je ůžasně dlouhý a hřejivý. Velká pecka,ostatně jako téměř vše co jsem měl možnost z této palírny ochutnat. Vřele doporučuji! It has a sweet scent that reminds me of sweet rums from Barbados. Its mild but complex and rather rough. I like it but when I take it's price into consideration I cannot find anything that justifies a price point twice as high as a Clement VSOP. If anything I prefer the Clement.